Not everyone dreads snowy winters. For downhill skiers and snowboarders, winter is a season to celebrate, a time to head outside to ski or ride slopes at the Mt. Ashland Ski Area and Mt. Shasta Ski Park. And, based on weather forecasts envisioning another cold, snowy winter, ski hill managers are hoping those predictions are spot on. "Obviously Mother Nature will dictate when we open," says Hiram Towne, Mt. Ashland's general manager, adding that last winter's long season resulted in a record 80,000-plus visits. Michael Smith, Marketing Manager at Ski Shasta, echoes Towne. "That's out of our control," he says about predicting when or how much snow will fall, "but we hope Mother Nature helps out." Snowy weather or not, both Smith and Towne have reason to look forward. Along with what's happening on Mt. Ashland's slopes—a new "slightly used" snowcat will enhance grooming, especially at the terrain park and after storms—Towne is more excited about what's happening off the slopes. A $7.7 million upgrade is transforming the 60-year-old historic lodge into a more spacious, user-friendly facility. While honoring its original design, the often-crowded lodge was enlarged by 1,000 square feet by covering two outdoor decks, along with other upgrades such as creating higher ceilings and installing natural beams. "It's not a pretty coat of paint on the building," Towne says. He predicts the extra space "is going to be a real experience changer." For many years, ski hill managers focused on expansion, partly to offer more choices for beginning skiers and riders. Towne believes those concerns have been met with the addition of the Sonnet chair that accesses easier terrain. And, because there's little overcrowding on the 23 runs and open bowl—an average weekend might seek 1,500 to 1,600 skiers and riders—the focus shifted to improving skier visits. "It's about the guest experience. We don't have crowds on the hill, but we do in the lodge. It's a matter of putting our money in areas that need it the most," Towne says of revamping the mountain lodge. Along with adding upstairs space, lockers were moved from the lodge's basement to the rental shop building. The rental shop, which had been a significant walk from the lodge and Sonnet chair, will reopen in the lodge's designed basement. "That just was not the way to convince people, especially beginners, that they were going to have a good day," he says of learning skiers and riders having to haul skis, snowboards, boots and other rental gear between buildings. Towne believes that improving Mt. Ashland's infrastructure will help the ski area's long-term viability and benefit the region. "We are an economic driver," he says, noting the eight to twelve year-round employees, along with 130 to 160 winter staff. Mt. Ashland also generates business for Rogue Valley restaurants, outdoor stores, and shops during months when the Oregon Shakespeare Festival is between seasons. In turn, he believes the fund-raising effort for the lodge and other upgrades reflects Mt. Ashland's importance to the community. "It's pretty neat to have a little ski area that runs the gamut," Towne says, referring to ski schools for youth to serving as a venue for high school ski races to special nights and activities. "Ashland and the Rogue Valley are very supportive communities. They've kept us alive." At Mt. Shasta Ski Park, located on the slopes of Mount Shasta outside Mount Shasta City, Smith says a focus is on expanding its operations and its audience. He says the first year of summer offerings, featuring chairlift rides for mountain bikers and others, was hugely successful. "We had people from every walk of life," he reports, from a three-week old baby with his parents to a 99-year-old woman who had never been on a chairlift. 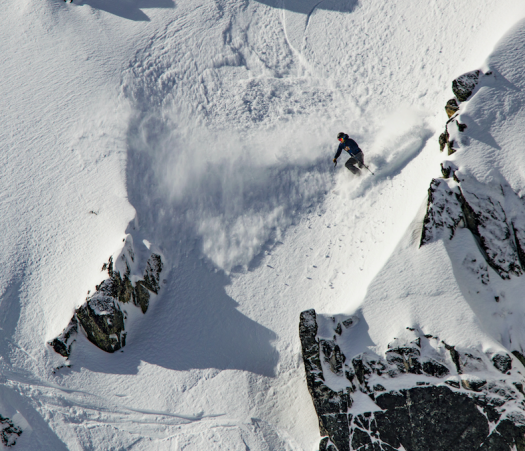 "A lot of people who don't ski got to see what we do." While Mt. Shasta gets most of their skiers and riders from Redding and other far northern California cities, efforts are planned to lure more regional visitors, especially families, and beginners and intermediates. "We don't get enough people from other areas. We're putting a bigger push on Southern Oregon. This is a big expansion year for us," Smith says, noting Mt. Shasta has launched programs with Medford's REI store to entice Rogue Valley skiers and riders, especially in the spring "when we've got bluebird conditions day after day" and relatively empty slopes. "We've got a lot of demand going into the season," he says, noting what he believes is a pent-up demand for skiers and riders who had been frustrated by several years of low-snow. Although figures weren't made available, Smith says 2016-17 was a record year and notes season passes for the upcoming 2017-18 season sold at record levels for the second straight year. "We've got a lot of demand going into the season. While no major changes were made, Shasta added a new snowcat that, like at Mt. Ashland, "is really going to improve our grooming." Mt. Shasta and Mt. Ashland are again continuing a yearlong program that allows season pass holders at one of the areas to receive discounts when skiing or riding at the other. For information about the areas visit www.skipark.com for Mt. Shasta Ski Park and www.mtashland.com for Mt. Ashland.